I visited Barcelona three years ago and spent a whole week seeing all of the sights and lazing on the beautiful beach. I was excited to go back as its one of my favourite cities to explore. 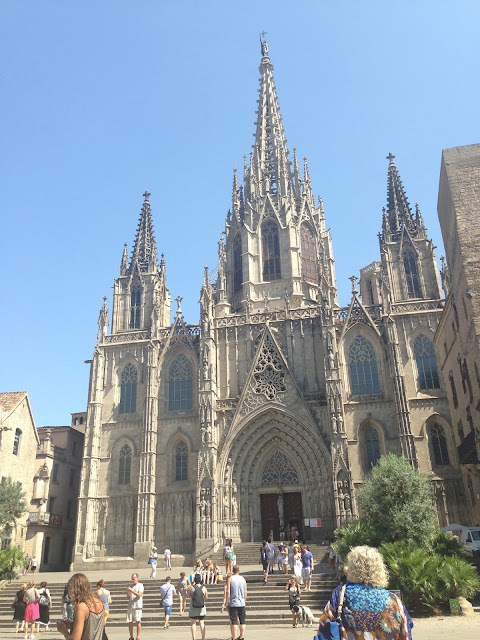 We arrived in the afternoon and headed to the Gothic Quarter to view the Town Hall and the Cathedral. 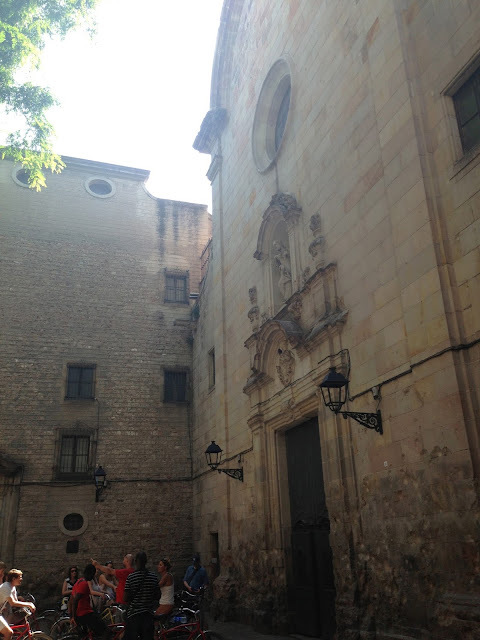 One of the places I didn't see on my previous visit was the old execution courtyard, needless to say we didn't stay too long there. 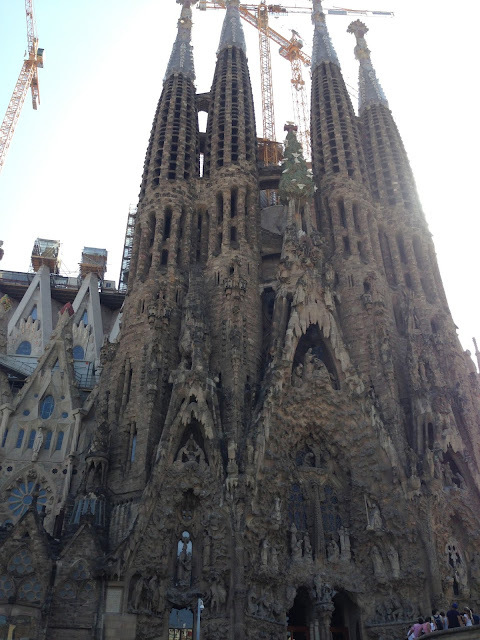 I saw the Sagrada Familia on my last visit to Barca but we had a quick wander round and made our way to the hotel to refresh. That evening we had an included dinner at the old bullring which has been converted into a shopping centre, and has restaurants at the top with amazing views over the city. Later we went on a Barca pub crawl and made the most of the beachfront clubs, where we stayed until the early hours of the morning. 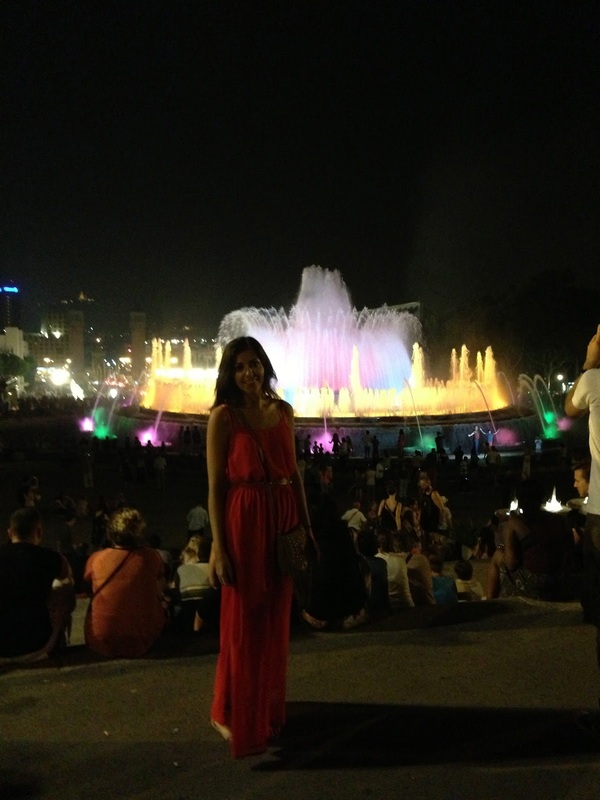 That evening we went for a walk down Montjuic to see the Magic Fountains, where I took far too many photos but it was a lovely way to end the evening and our time in Barcelona.